ASTIC’s products adhere to the highest national & international standards. Continuous quality improvement means that we are constantly perfecting our products as well. 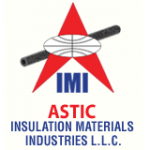 With ASTIC’s latest venture into manufacturing specifically catering to the insulation industry & GI Ducting industry through our brand ALFA , all products go through stringent quality requirements. Hence every unit manufactured under the umbrella of ALFA is technically sound as it is tested for its performance in line with quality control inspections conducted after production.